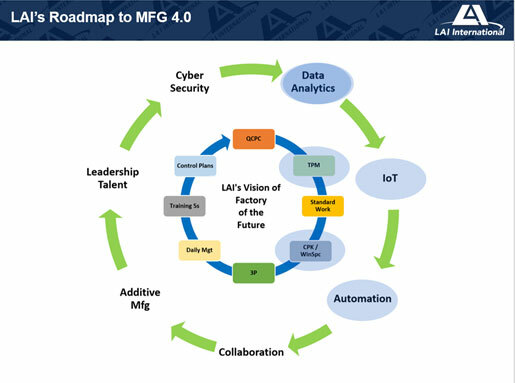 One of the key parts of Manufacturing 4.0 (MFG 4.0) is moving the data collection to a centralized database, and away from individual spreadsheets and paper logs. At LAI International, we have integrated data from our Enterprise Resource Planning (ERP) system, Factory of the Future (FOF) system, multiple measurement systems, and our statistical analysis tools. This allows us to provide near real time analysis and feedback to the manufacturing floor. We have used the data collected to identify Key Process Indicators (KPI) through statistical analysis. This analysis has led us to identify measurement method improvements, process improvements, and increased reporting accuracy to all levels of the company. Data collection is achieved through multiple automated collection programs, utilizing a class factory (plug-in) architecture and job manager program. The job manager and scheduling programs call and execute the data collection methods without having to know the specifics of the data collection program. By using a plug-in architecture, we can deploy new collection methods without having to rewrite or edit existing programs or the job manager. These new collection methods can be tailored to specific machine tools or measurement systems, without affecting existing data collection methods. This approach also reduces errors to existing data collections. LAI International recognizes the criticality of accurate and traceable data for the aerospace and medical industries. To ensure full traceability, the raw data is imported without any manipulation, and all changes to the data are tracked via audit and log tables at the database level. Any analysis is done via separate reporting tables. When duplicate or mal-formatted data is detected, that file is not imported and is pushed to separate areas, then notifications are sent to address the errors. We have implemented a series of cross-reference tables to normalize the incoming raw data. By normalizing, we can then identify the KPI’s across multiple data sources and report those KPI’s to online Statistical Process Control (SPC) systems. This reduces the amount of data for the online SPC system and improves the responsiveness for the end users. The cross-reference tables also provide data for reporting tables that are access via standard Open Database Connectivity (ODBC) type connections for ad-hoc analysis tools. By combining the cross-reference tables, KPI’s and reporting tables, we can serve both the production and engineering communities in our company. The cross-reference tables are maintained by the responsible engineering staff utilizing an editing program including import and export to Excel format. All changes to the cross-reference table are logged at the database level. 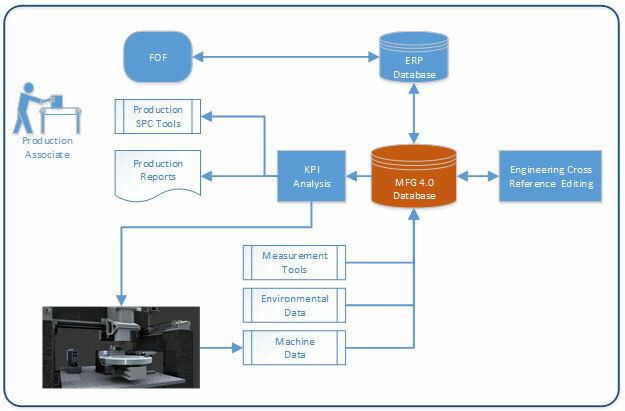 We will continue to expand the data collection to machine data and environmental data with the eventual goal of providing direct feedback to the machine tools to correct and adjust parameters from the proven KPI’s. LAI International has always supported our armed forces, and we are very proud of it. Personally, I am also a proud father with a family that supports our armed forces! 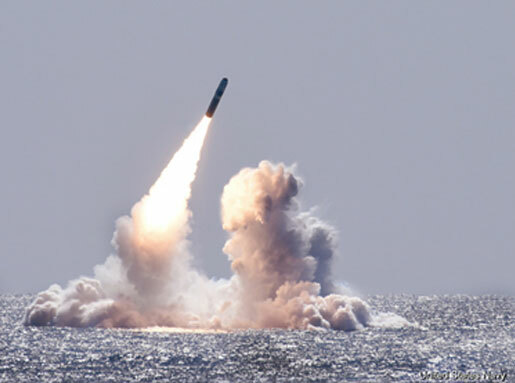 My son, James Gruetzmacher was on station in the nuclear reactor power plant on board the SSBN Nebraska during the successful launch of two Trident II D5 Life Extension missiles. I was invited by the US Navy to be on the USS Waters support ship 2.5 miles away and witnessed both launches. It was an incredible day, one I will never forget! I love my son and his shipmates. Their work and their sacrifices help make our world a safer place! It was a great week at AMUG! 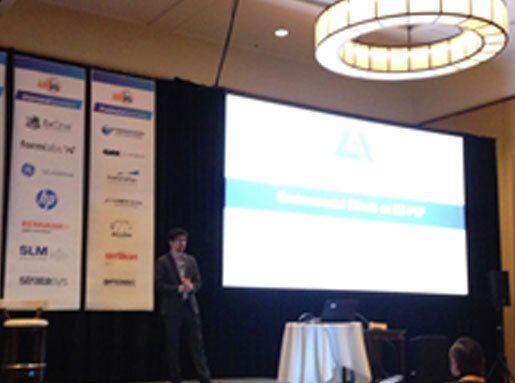 Earlier this month, the LAI Additive Manufacturing team of experts was at the Additive Manufacturing Users Group (AMUG) meeting in St. Louis. Our Associate Caitlin Oswald, Adam Rivard, and Mat Lewis presented there. Thank you for all who stopped by to say ‘hi’!